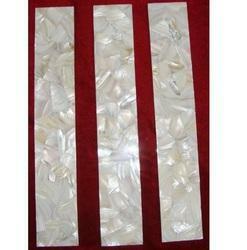 Our expertise also lies in successfully meeting the demands of Mother Of Pearl Strip that are Borders which are highly demanded because of its decorative art value and find high usage in both interiors as well as exteriors. We are engaged in processing the fine quality of Sea Shell Mother of Pearl Tiles that is processed by using the sophisticated technology. 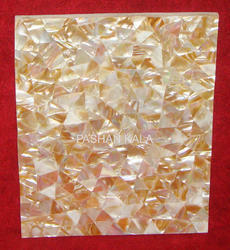 Our products have attractive colors that enhance the beauty of the houses and hotels. We have the proper warehousing facility, with which we provide on time delivery of the products. To ensure the superior products to our clients, we check the quality before they are supplied to our clients. 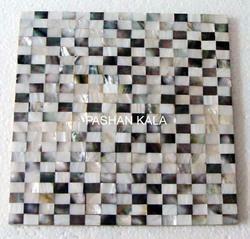 • Size : 12 x 12, 15 x 15, 18 x 18, 24 x 24" inch and any customize size as per requirement..
We are engaged in processing the fine quality of Mother of Pearl Tile for Wall Decorationthat is processed by using the sophisticated technology. 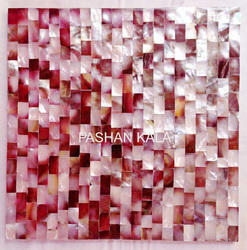 Our products have attractive colors that enhance the beauty of the houses and hotels. We have the proper warehousing facility, with which we provide on time delivery of the products. To ensure the superior products to our clients, we check the quality before they are supplied to our clients. 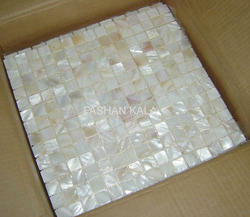 We are engaged in processing the fine quality of Mother of Pearl Tiles for Wall Decorationthat is processed by using the sophisticated technology. Our products have attractive colors that enhance the beauty of the houses and hotels. We have the proper warehousing facility, with which we provide on time delivery of the products. To ensure the superior products to our clients, we check the quality before they are supplied to our clients. 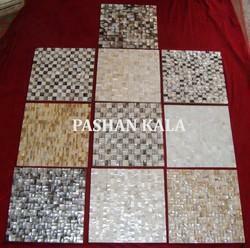 We are engaged in processing the fine quality of Mother of Pearl Shell Backsplash Tile that is processed by using the sophisticated technology. Our products have attractive colors that enhance the beauty of the houses and hotels. We have the proper warehousing facility, with which we provide on time delivery of the products. To ensure the superior products to our clients, we check the quality before they are supplied to our clients. 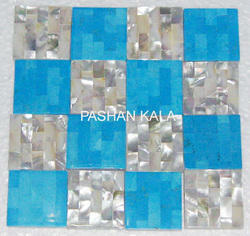 We are engaged in processing the fine quality of Turquoise and Mother of Pearl Tiles that is processed by using the sophisticated technology. Our products have attractive colors that enhance the beauty of the houses and hotels. We have the proper warehousing facility, with which we provide on time delivery of the products. To ensure the superior products to our clients, we check the quality before they are supplied to our clients. 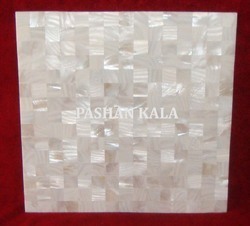 To increase the beauty of your houses, we are offering the superior quality of Mother of Pearl Tiles that is processed using the fine quality of marbles. With these products you will feel like inviting your friends just to see your flooring. We have the warehousing facility with which we provide the swift delivery of the products. 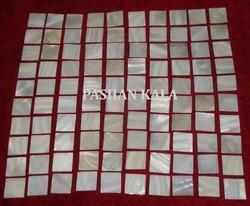 Looking for Mother Of Pearl Tiles ?